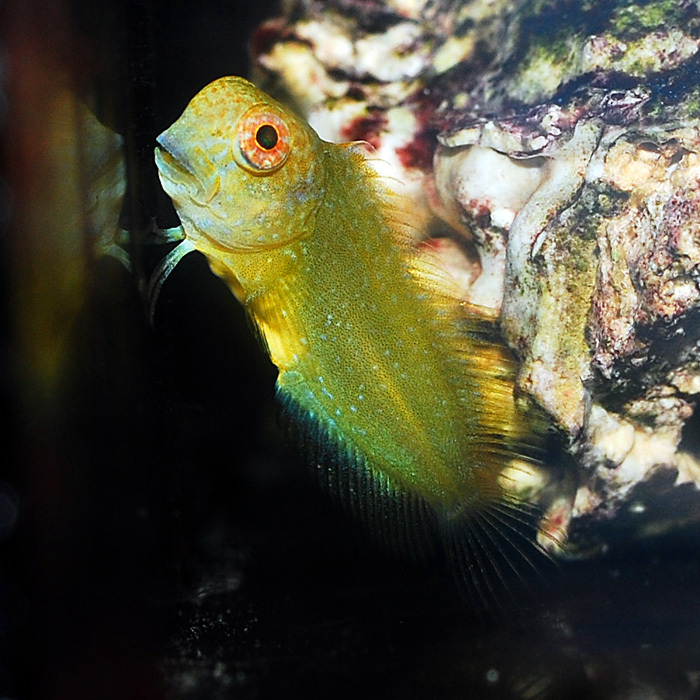 The yellow sailfin blenny from Fiji is a color variation of the black sailfin blenny. They make excellent algae eaters and even eat diatoms, film algae, and other nuisance algae. They’re mostly peaceful, but may attack small fish with similar color, diet, or body shape, especially in a smaller aquarium. They may bother and nip at SPS corals and clams.